Most people understand that seeking the Spirit or the subtle self may be called spirituality. But many have difficulty understanding what spirituality is and what seeking it really means. Fewer still know exactly how to achieve it. Over the ages, various pursuits of spirituality have offered different methods and paths for discovering the subtler Inner Self or Spirit within. This pursuit was meant to be innate and inner-directed, rather than a pursuit linked to physical dimensions, the external world. It was designed to allow us to explore our deepest roots. We evolved from the subtle to a physical form, so the journey of self-discovery takes us back to the roots we originally came from so that the physical self can realize its subtler self within. Not only does this pursuit of spirituality result in discovering the subtler self, it opens up a whole storehouse of subtle knowledge about ourselves, as well as an understanding of this natural power and force that created the universe. Along with this new knowledge and understanding, there is a profound realization that our subtler self is, in fact, an integral part of this power of creation and that this self-discovery ultimately results in the union of our subtler self with the power that created it. 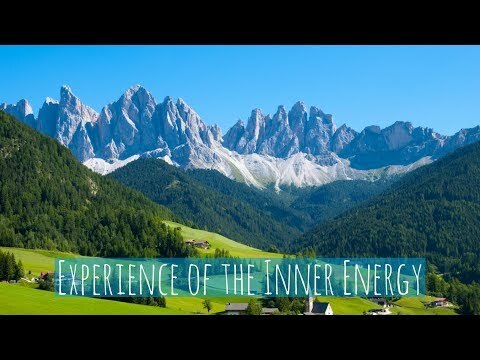 With this union, we enter a new plane of consciousness that we can experience in real, tangible terms: We experience our subtle energy and our heightened state of consciousness, and we feel this experience influence our central nervous system, all the way down to tangible, measurable physiological responses. This is the point when the physical self actually establishes a link with the subtler self. We, and specifically our subtler selves, become part of a universal state of consciousness. It is a subtle state that always existed; we only had to discover it and experience it. We continue to exist as our physical self, yet we also have the knowledge and awareness of the subtler self. For this to happen, the subtler intelligent package inside us had to have a strong connection to our central nervous system, and indeed it does. This subtle connection is the Kundalini energy at work. But this powerful connection doesn’t stop there. Since this power also created all other beings and placed similar seeds of intelligence within them, being connected to that power — being in unison with it — also leads our subtle self to become part of the entire creation. All the subtler selves that are part of this state of consciousness can also be felt, and it is an immensely positive feeling. This feeling of heightened awareness and connectedness is the feeling of oneness with the universe and all its creations. This seed within us is the Kundalini energy. It is the trigger or “seeking spark” within us. The activation of the seed and commencement of the journey is the process of Self-Realization. And the subtler self is our Spirit or soul, as we know it. Sahaja Yoga, the root of the Sahaja practice, is one such pursuit of spirituality, granting anyone with the desire a potential path to this self-discovery. The word Sahaja means “born with,” meaning that we are born with this subtle capsule, and Yoga (which means “union” in Sanskrit) is the union of this subtle Spirit with the universal power of creation. Yet, the intelligent all-powerful force of creation set up the game of human life in such as way that there is a constant tug-of-war between the material or physical self and the subtler self, ultimately creating in us a need — and a desire — to rise to a higher state of evolution; in other words, to make a conscious effort to pursue this journey of discovery. Physical matter is always competing with the Spirit. Matter can be overpowering because we come from matter to begin with — the smallest physical cell from which we evolved. And yet, when we take even a little bit of time away from our materialistic and outward pursuits in life, we may find that we’re always seeking something deeper without knowing exactly what we’re looking for. The truth is that we’re nearly always seeking the ultimate, to become one with the same power that created us, without realizing that this is what we’re seeking. How can we test the hypothesis of Self-Realization? To be considered valid, our results must be reproducible, right? 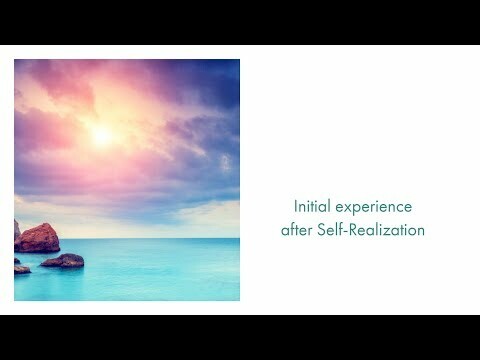 If the experience and verifiable proof of the outcomes of Self-Realization can all be obtained consistently in nearly all human beings, it automatically follows that the process of Self-Realization is repeatable and produces specific effects on various aspects of our being, whether physical, mental, emotional or spiritual. 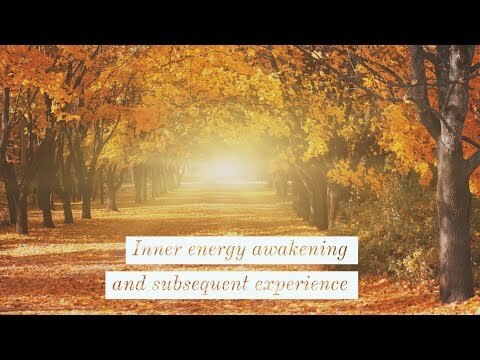 Awakening the subtle energy opens the door to understanding and experiencing the elements of the subtler self, clearly, unequivocally, and on a regular, ongoing basis. Can someone hand you proof of the process of Self-Realization to convince you that it exists? That would be nearly impossible. Human beings tend to demand proof first, which may explain why only a tiny fraction of the human population manages to experience Self-Realization. But the problem is that Self-Realization is a personal, internal process experienced within each individual; thus, it’s hard to “prove” with external data, instruments or measurements. It is the experience itself that provides all the proof you’ll ever need. Perhaps the universal power of creation built this intelligent capsule this way in order to eliminate those who weren’t ready for it yet! And if they weren’t, they eliminated themselves from this experience by either never seeking in the first place, or by seeking the journey but not being willing to experiment with Self-Realization as a hypothesis, or by not having the patience to keep exploring until they actually feel the impact of the subtler self on their central nervous system. Oh yes, there are several stages where people can fall off the path! Actually, there is yet another possibility: If the pull of the material self is strong enough to draw the well-intentioned away from their subtler self and their journey of spirituality. Unfortunately, this is quite a common occurrence, even in the practice of Sahaja meditation. Now, Self-Realization is not a new idea. A number of saints and others who were more evolved than the average human beings of their times have spoken discreetly about it, providing hints here and there about Self-Realization, its purpose, and even the subtle energy system. They, too, often weren’t explicit and didn’t make the mistake of making everything crystal clear, likely for a couple of different reasons… for one, they might have faced ridicule or even torment from the majority of the people around them; for another, how would they go about describing the subtle? It is, admittedly, difficult to explain to someone who has not experienced it. Swiss psychiatrist Carl Jung, for example, spoke about the subtle and the unconscious mind. He believed that, in addition to the personal unconscious, we each have a collective unconscious and that universal patterns of consciousness (archetypes) reside in the collective unconscious, giving us access to the same universe of experience and to each other, as well. Jung attempted to extend his psychological archetypes to include other domains of knowledge (such as the spiritual, mystical or metaphysical) that seek to understand complex systems in an integrated manner. He used the term “numinous” to describe spiritual encounters, suggesting that we may suddenly experience the world as a manifestation of a universal, cosmic creative energy, a oneness with nothing separate, or that hidden realms may be opened up so that we encounter beings, deities, spirit guides and other forms or dimensions. Jung suggested that when the spiritual breakthrough occurs, the human being becomes the Spirit, has access to this collective unconscious, and becomes aware of this cosmic intelligence at a subtler level. Self-Realization has also been described as the time of Kiyama by the Prophet Muhammad. A number of ancient Indian teachings and scriptures have also spoken of it. So have Tao and Zen teachings. Too many people misinterpreted these subtle hints by evolved humans and the result was that many of today’s religions were formed as external representations of many subtler aspects, but ultimately, they went so far that they lost sight of the subtle and all that remained were the external representations and outward manifestations — rituals, for example. How did this soul get created? When did it enter us? It is part of the subtle package that comprises the Kundalini energy that enters the fetus at the time of birth, forming the energy channels and energy centers. Together with the Kundalini energy, chakras and channels, the Spirit also gains existence and these four aspects constitute the spiritual packet within us. Ultimately, at their core, human beings are identified by this indestructible subtle package within them. There are other burning questions, such as the meaning of “indestructible,” or questions about precisely how the soul enters us and so on. One could delve deeper into such topics… there are many different theories about such matters, (reincarnation, for example). The view of most Sahaja meditation practitioners is that it’s not necessary for us to explore this topic further. What’s important to us is the lives we’re living and discovery of the subtler self, how it works and how we can use it purposefully and meaningfully to further evolve our state of consciousness. Speculation about concepts like reincarnation and the like do not offer us any tangible benefit and, in fact, tend to only confuse and distract us from the primary, true goal of Self-Realization, which our inner subtler self has always been eager to achieve. For the purposes of this discussion, it’s adequate to assume that the soul or spirit is either formed or comes into existence at the time the Kundalini energy, channels and chakras are formed and remains within us throughout our lives. In truth, the Spirit can be understood at the subtler level as being a reflection of divinity within human beings, our only link to — and identity of — having been created by God. Venturing further into the realm of spirituality and how representations of the divine are present within us, the divine, all-pervading power is often discussed as the force of creation, or the power of God’s love. In some scriptures, the existence of the divine in spiritual parlance includes God Almighty and a feminine power, the Primordial Mother. The feminine power creates everything while God enjoys the creation as a witness. Specifically, human beings have an element of the feminine power in the form of their Kundalini energy and the Spirit as a reflection or element of God Almighty the witness. Some form of activation of and unison with these subtler elements is required to reach a higher state of awareness and evolution. This happens through the process of Self-Realization. Self-Realization is a process by which we realize our Spirit. What exactly is involved in “realizing” our Spirit and its state prior to Self-Realization? The Spirit, as defined earlier, is a reflection of God and the potentially divine qualities within us. Yet, before Self-Realization occurs, it is not perceptible to us on the subtler plane through tangible experience or sensations within our central nervous system. So, you could say that the Spirit is like a mirror that has yet to acquire its reflective properties. But once Self-Realization occurs, our Spirit becomes a truly reflective mirror and with desire and perseverance, we can exhibit positive traits in our daily lives which can be elevated to almost God-like levels. So how does this Spirit become so reflective and radiant? Through a set of affirmations that work in a specific manner. The Kundalini energy is activated; it rises and causes the all-pervading power to enter our attention. Our attention is like a sheath over the Kundalini energy, spread out like a stretched canvas. The Kundalini energy rises and pierces the chakras. Each chakra, while located at their respective individual energy centers (1st through 7th), are also represented or have a seat in the 7th energy center or Sahasrara chakra. Likewise, the reflection of God resides in our heart, but the actual seat of the Spirit is in our brain along with the chakras. At first, you may find this confusing to difficult to understand. But once you disassociate yourself from looking at things as always existing on the physical plane, or as a function of space and time as we understand it, you can appreciate that subtler representations can exist in multiple physical planes. Then it is not so difficult to comprehend that the subtler components do not have to be rooted or fixed in one single place; they can be in two places at once in some form that is not within our limited understanding. Besides, what matters here are the ultimate experience, the outcomes or effects on us, and developing the ability to perceive these subtle components. When the Kundalini energy pierces the 7th energy center, it pierces through the canvas of our attention and causes it to stretch and ooze into the collective consciousness, the subtle realm of the all-pervading power. In this moment, our attention becomes enlightened — this process is known as achieving enlightened attention or enlightenment within us. All that means is that our normal attention and awareness has become sharper and clearer, with an ability to perceive a new dimension or higher subtler state. We also become aware of the Spirit in our consciousness; that is, the Spirit enters our attention. The reflection of God within us becomes perceivable by our physical self and within our normal attention. This perception manifests both in the form of pulsating vibrations on our hands, as well as in the experience of thoughtless awareness. 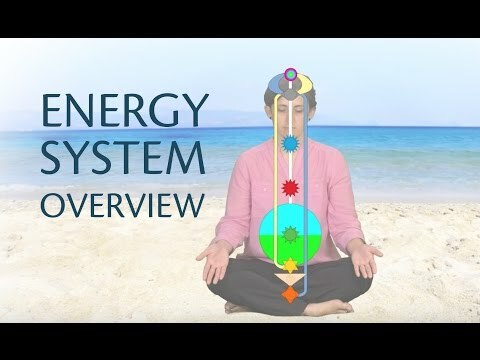 Thus, we can now experience the Spirit, the Kundalini energy, the all-pervading power and the effects of the subtle energy system on our central nervous system. This experience acts is the vital connecting link between the subtler states of consciousness and our normal plane of consciousness. In many ways, this profound link represents the connection or bridge between spirituality and the existence of the real world around us — other humans and everything else physical and finite. One could extend this to including a real possibility of forming a connection between spirituality and subtler aspects of science and everything-verifiable. Of course, those who wish to discover this connection and experience the process of Self-Realization must first agree to the hypothesis, experiment with it, and be patient until the results are experienced. For many, Self-Realization is a profound and rewarding experience. It is the ultimate thrill to discover that other transcendent dimensions exist, especially when they’re cosmic aspects that we’ve always believed in, but were never able to experience without doubt. Depending on the intensity of the seeking within us, it can be a tremendous feeling of gratification and sense of achievement, or it can be a nonchalant, matter-of-fact achievement like other thrilling experiences in our lives. The state of thoughtless awareness can be a deeply, relaxing experience. The physical experience includes actually feeling the Kundalini energy rising up within the channel, piercing the top of the head and the sensation of strong vibrations on the hands. Some, however, may not feel these sensations in the first few days or weeks of the Sahaja practice. What is felt depends on multiple factors: the state of an individual’s energy centers, the strength of the desire that caused the Kundalini energy to rise, the number of strands of the Kundalini that actually rise, the obstacles the energy might encounter and so on. However, in nearly all cases, Sahaja meditation techniques have proved that, regardless of the sensory experience of the practitioner, Self-Realization actually occurs. Even if the person undergoing Self-Realization cannot feel, for example, vibrations, others around them who are already Self-Realized and sensitive to their own subtle energy systems and the universal consciousness can verify that Self-Realization has actually occurred. Self-Realized people can develop the sensitivity to determine whether the Kundalini energy of another person has been awakened and has risen. How are we able to detect the state of the subtle energy system of others? Because Self-Realization is a consistent phenomenon across the human species. When it happens, everyone is connected or aware of the collective, universal consciousness of which their own subtle energy system is a part. It is possible to focus our attention and feel another’s subtle energy, as well as their vibrations. This is not necessarily a matter of routine practice, since the focus is always on one’s own subtle system, rather than the energy of others. However, expert Sahaja practitioners sometimes use this ability to help heal the chakras of others when asked to. After Self-Realization, many find that it’s easy to get carried away by the thought of becoming “enlightened.” But, in reality, all this means is that our attention has been sharpened and we develop enhanced powers of perception. It is truly the enlightening of our attention, making it aware of the subtle energy system; specifically, feeling the presence of the Spirit in our attention and its influence on our central nervous system. Really, it means nothing at all if we choose to do nothing after Self-Realization, or simply enjoy the moment of Self-Realization. Many have assumed that this enlightenment of attention is itself the ultimate endpoint of spirituality. It’s not, of course; rather, it is only the beginning, a door opening into a potential spiritual journey that can allow us to reach higher states of evolution. This evolution can only result from our strong desire for it, hard work, focus and perseverance. The process of Self-Realization and achieving enlightened attention can be the single most significant breakthrough of one’s life, especially for those seeking spirituality. But it’s up to us to make the most of it, to apply it meaningfully in our lives going forward. How can you make the most of it? In a nutshell: By meditating on a regular basis, which continually re-establishes the connection of your Kundalini energy with the all-pervading power, and by using the resulting heightened sensitivity to your subtle energy system as a diagnostic tool to assess and solve problems with chakras and channels. When the subtle energy system is healthy and/or improving, traits represented by the respective chakras and channels stabilize and improve within us. We evolve to higher states of maturity, subtler knowledge and a much higher quality of life. We’re also significantly more spiritually educated — and not through reading books or pursuing knowledge externally — but through constant introspection and awareness of our inner spiritual self.